Which VOCALOID pairings आप find cute? Hatsune Miku is your प्रिय Vocaloid? 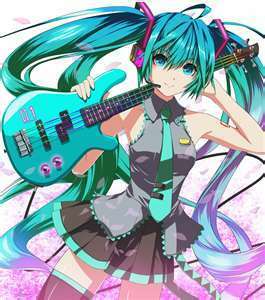 प्रशंसकों के पसंद: Hatsune Miku is my #1 प्रिय Vocaloid. प्रिय song द्वारा Megurine Luka? Has anyone ever listened to mikus song okaasan if so how did आप react? This review is based on my personal opinion. It is in no way meant to offend anyone. आप are free to agree या disagree with it. Yuuma (or Yuma) is an official Vocaloid developed and distributed द्वारा Bplats, Inc. His voice provider is unrevealed. VY2 is an abbreviation for "Vocaloid Yamaha 2." His item is the Wakizashi and he is avatar-less, although many concepts have been thought up for him, especially the one in the picture. There are वोकलॉड्स who never became लोकप्रिय like the Hatsune Miku वोकलॉड्स became popular. a comment was made to the poll: Which VOCALOID pairings आप find cute? Here on फैन्पॉप witch one of these प्रशंसक क्लब्स is the Newest ? Anyone want to शामिल होइए my club?